All are book blogs or groups that give you a chance to share what your weekly book haul. This week, I feel like I added a lot of really great books. Lately, I've been feeling a bit disorganized with my blog. I have so many great books to read - and I've been kind of going at this with a lasseiz-faire attitude. I feel like I need to create a spreadsheet so that I read in the right order. I should be reading in order of publication date, so my reviews come out with the book. But then that makes it feel like a job, instead of a fun hobby. High ambitions for a Sunday......anyway, here we go! north with an iron fist. Ralph Neville, Earl of Westmorland, a giant of a man and a staunch Lancastrian, cunningly consolidates power by negotiating brilliant marriages for his children. The last betrothal he arranges before he dies is between his youngest daughter, nine-year-old Cicely, and his ward Richard, the thirteen-year-old Duke of York, England’s richest heir. So nearly queen herself, Cicely Neville was the mother, grandmother and great-grandmother of kings – and her descendants still wear the crown. 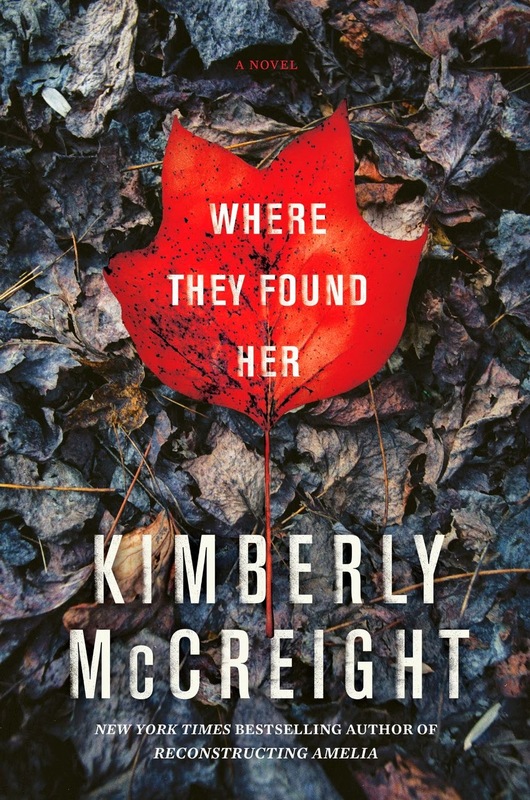 Where They Found Her by Kimberly McCreight....At the end of a long winter in well-to-do Ridgedale, New Jersey, the body of an infant is discovered in the woods near the town's prestigious university campus. No one knows who the baby is, or how her body ended up out there. But there is no shortage of opinions. When freelance journalist, and recent Ridgedale transplant, Molly Anderson is unexpectedly called upon to cover the story for the Ridgedale Reader, it’s a risk, given the severe depression that followed the loss of her own baby. But the bigger threat comes when Molly unearths some of Ridgedale’s darkest secrets, including a string of unreported sexual assaults going back twenty years. Meanwhile, Sandy, a high school dropout, searches for her volatile and now missing mother, and PTA president Barbara struggles to help her young son, who’s suddenly having disturbing outbursts. Told from the perspectives of Molly, Barbara, and Sandy, Kimberly McCreight’s taut and profoundly moving novel unwinds the tangled truth about the baby’s death revealing that these three women have far more in common than they realized. That the very worst crimes are committed against those we love. And that—sooner or later—the past catches up to all of us. successful career as an architect, a perfect, loving boyfriend, and a close group of friends. But when an old crush moves to town - Eamon, a former Olympic swimmer and the only man she never truly got over - everything flips upside down. Haunted by the death of her mother, Sarina uses her passion for design, inherited from her beloved step-father, to escape from emotional entanglements. With her boyfriend in Buenos Aires for work, and Eamon looking for an architect to renovate his new Austin digs, Sarina discovers quickly that in order to be honest with both men, whom she cares deeply about, she must come to terms with what she’s really looking for in love, and life. In the seaside village of Peleg, four American women have emigrated to Israel for very different reasons. 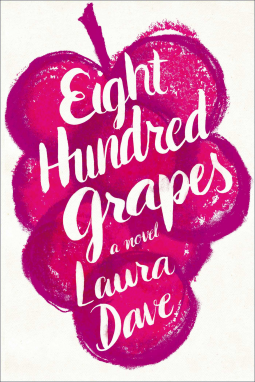 Lauren has come for the love of her Israeli husband, yet misses her life in Boston every single day, resenting the sunny “land of reptiles and rocks.” Seeking a new life after divorce, her vivacious friend Emily follows. Aviva, brought to Israel years earlier by intelligence work, has raised a family and now lost a son to war. And Rachel, a bright young college student, comes in search of adventure. As their intertwined stories unfold, each woman finds the joys promised by the beauty of the land, in new life, first love, motherhood, and friendship, supporting each other through irrevocable changes, navigating the pressures of marriage, illicit romance, the loss of a child, and, the unthinkable backdrop for this paradise—war. Through moments of humor and sorrow, each woman takes part in the ultimate act of compassion, helping to close the circle of life. Brimming with wisdom and intelligence, A Remarkable Kindness is a moving testament to women’s friendship and capturing the paradoxes and promises of the land they learn to call home. are stopping cars, searching for something. Nicki Clements waits patiently, until she glimpses a face she hoped she’d never see again. It’s him—and he’s the cop checking each car. Desperate to avoid him, she makes a panicky U-turn and escapes. The Lake Season by Hannah McKinnon.... Set in the weeks leading up to an idyllic New England wedding, this “enticing and refreshing” (Nancy Thayer, New York Times bestselling author) novel sparkles with wry wit, sweet romance, and long-kept family secrets. Iris Standish has always been the responsible older sister: the one with the steady marriage, loving family, and sensible job. But this summer, as her carefully-constructed life spins out of her control, a cryptic postcard from her beautiful, free-spirited sister Leah arrives at the perfect time: Please Come. Iris seizes her chance to escape to her childhood lakeside home, where Leah is planning her wedding to a man their New Hampshire clan has never met. Still, despite the rush of dress fittings, floral arrangements, and rehearsal dinners, Iris is learning to put herself first. And amid a backdrop of late-night swims and a soul-restoring barn renovation comes Cooper Woods, an old friend who beckons with the promise of a new start. But Leah has secrets of her own, and while her sister faces a past that has finally caught up to her, Iris prepares to say good-bye to a future that is suddenly far from certain. As Hampstead Lake shimmers in the background, Iris must decide when to wade in cautiously and when to dive—and, ultimately, how to ferry herself to safe harbors in this enticing novel of sisters, second chances, and the ties that bind. Samantha Clair. Checking jacket copy for howlers, wondering how to break it to her star novelist that her latest effort is utterly unpublishable, lunch scheduled with gossipy author Kit Lowell, whose new book will deliciously dish the dirt on the fashion industry. But little does she know how much trouble Kit’s book is about to cause. Before it even goes to print. When police inspector Field turns up at the venerable offices of Timmins & Ross, asking questions about an undelivered package that was addressed to Sam, she knows something is wrong. The messenger sent to deliver the package was murdered, and then Kit goes missing. Suddenly, Sam's nine-to-five life is turned upside down and she is propelled into a criminal investigation. Someone doesn't want Kit's scandalous manuscript published and unless Sam can put the pieces together in time, they'll do anything to stop it. 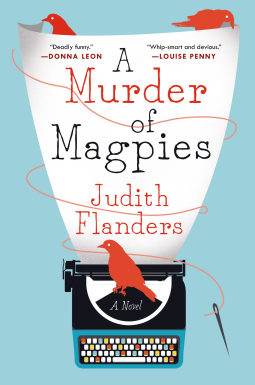 With her deliciously fun, cleverly written debut novel, acclaimed author Judith Flanders introduces readers to an enormously enjoyable, too-smart-for-her-own-good new amateur sleuth, as well as a colorful cast of characters including Sam's witty assistant, effortlessly glamorous mother, and the handsome inspector Field. 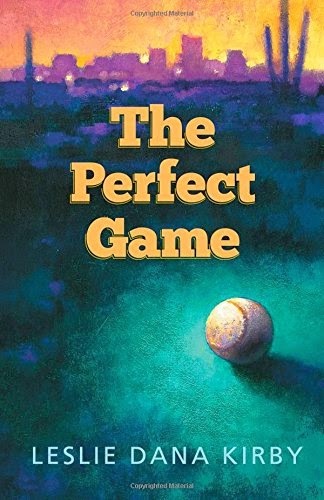 A whip-smart, impeccably crafted mystery, this tremendously entertaining novel will have readers flying through the pages. as she starts a prestigious emergency medicine residency, but she could end up doing life in the Arizona State penitentiary instead. Lauren has always lived in the shadow of her more glamorous sister Liz, the wife of baseball superstar Jake Wakefield. But when Liz is found viciously murdered in her Scottsdale home, the spotlight turns to Lauren as prime suspect in the high-profile investigation. Having lost both parents at an early age, Liz’s death leaves Lauren all alone in a new city. Jake’s support proves invaluable as she navigates the nightmare her life has become. As Lauren spends time with Jake, they develop a closeness that she finds both comforting and confusing. It’s an intimacy forged by their shared grief, their mutual love of baseball, and by the thrill of him pitching a perfect game for the Diamondbacks. Meanwhile, the Scottsdale police repeatedly question Lauren. She objects to a lie detector test as bad science. An arrest warrant is issued. The ensuing trial leads the evening news every night as a rabid public just can’t get enough of the sordid proceedings, quickly dubbed The Trial of the Millennium. Will the outcome be influenced by this media circus? Behind Closed Doors by Susan Lewis - good book. Top Ten Books I Would Read With My Book Club - this list begged the question, would I want to be in a book club? Kate & Alf by Carrie Stone - not so good book.